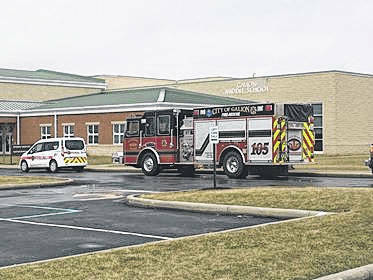 Over the course of one week, four Crawford County schools received bomb threats. Due to the tragic loss of 17 lives in Parkland, Florida, parents are rightly concerned about the well-being of their children during school hours. I am a parent myself, and I understand this concern. Several area schools have had lengthy discussions with their students about the seriousness of making these types of threats. According to the Ohio Revised Code, Inducing Panic is a felony of the second degree, punishable by up to eight years in prison, if a crime is committed by an adult. None of the alleged offense in Crawford County were commited by adults or by juveniles capable of being tried as adults. The accused (in these cases) are children ages 9, 11, 12 and 14. Due to the age of these children, all potential cases would be adjudicated in the juvenile judicial system. In order to be found criminally liable, a person must be competent to understand the judicial process. The younger the child, the more likely the child is tobe found incompetent. Needless to say, the juvenile justice system is complicated. Two incidents have resulted in the filing of ‘Inducing Panic’ charges in Crawford County Juvenile Court, with children being arrested and placed into juvenile detention. My office has — with the input of law enforcement — decided that charges would not be appropriate in one of the cases. One other matter remains under investigation. I urge all parents, relatives and guardians to please take the time to discuss the seriousness of this with your children. The Crawford County Prosecutor’s Office takes the safety and well-being of our children extremely seriously. While we will attempt to hold every person who violates the law accountable, the judicial system is not the only entity that can sanction children. Our schools have done an outstanding job working with law enforcement to determine what has occurred in these cases. Several of the students have received lengthy suspensions or have been expelled from school. I urge all parents — including myself — to have touch discussions with our children. A parent has the greatest ability to affect changes with our children. Please join me in doing all we can to keep our communities safe.